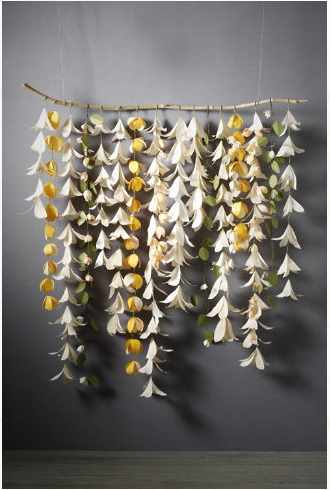 I love this hanging flower backdrop so much!! Im in the process of re-creating it at home but it isnt turning out as perfect as this one. Backdrops are so great cos they can be used anywhere really, whether its behind the bride and groom, or as a background to a photobooth or hanging from a tree as an altar area for an outdoor ceremony. 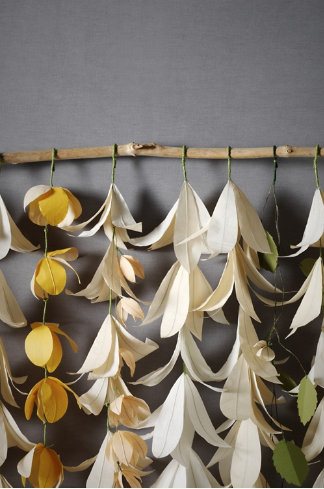 This backdrop is found at BHLDN for the whopping price of $1800.00 (hence why I have started making my own).